May be used for metacarpal (MC) head/neck fracture of the 4th and/or 5th metacarpal. 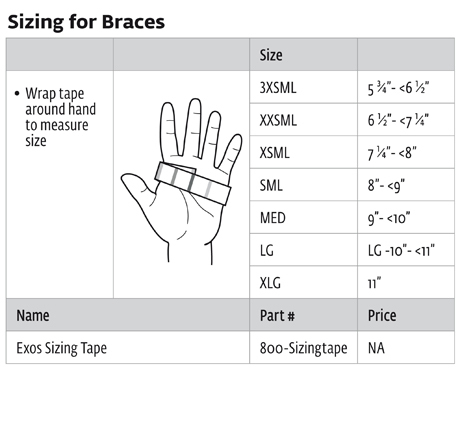 NOTE: These are heat moldable braces that need to be fitted by a clinician. I am using the Boxer's fracture brace as I had a fifth metacarpal displaced fracture. I am feeling relief and I can do my day to day activities without pain and discomfort. Fabric of this product is good, easy and comfortable on skin. Would recommend this brace to anyone with this type of injury.